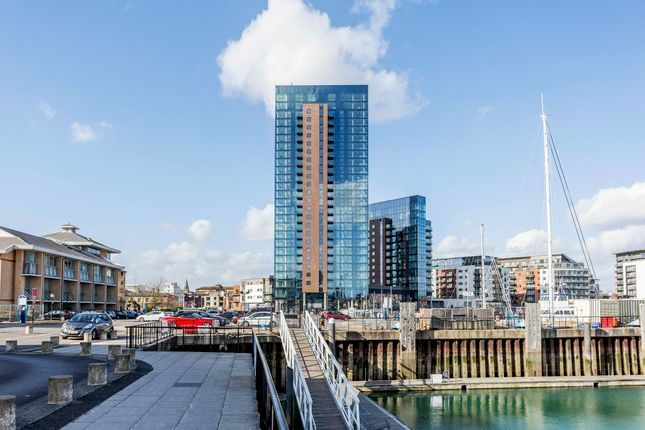 Stunning three bedroom apartment situated in the Admirals Quay devolvement in Ocean Village, Southampton. The apartment is located on the 12th floor, and features three double bedrooms, two of which include en-suite bathrooms, a further family bathroom is also available, private balcony to the master bedroom with marina views, the lounge features stunning direct marina views via its triple aspect floor to ceiling glass windows, L shape kitchen with integrated appliances, further benefits include air cooling system, underfloor heating, gym membership and two underground parking spaces. Close to the very popular Oxford Street quarter, the area provides first-rate facilities, leisure opportunities, restaurants, cafes, bars and good public transport links. The exciting HarBAR and Jetty Restaurant are within a few steps from the property to enjoy great food and drinks.